Who doesn't enjoy draft day? A year's worth of scouting where there's no cap limit on resources used to find the best players available. Interesting then that so many teams, the Montreal Canadiens included, have been relying more and more on video since the lockout. Only time will tell if the streamlining will improve their first round track record. While it’s tempting to address immediate needs when looking at who the Montreal Canadiens might draft, the reality is that practically everyone selected outside the top 10 will take 3-5 years to make the NHL. Looking at the Habs prospect depth and future needs, the priorities in descending order are left wing, center, defense and goaltending. The Canadiens are currently devoid of any high calibre left wingers throughout the system. It’s so bad in fact that Micheal Bournival, a center originally drafted by Colorado who’s good on face offs, may shift to left wing by the time he’s ready to compete for the roster spot in Montreal. A similar situation happened in 2002 when the Canadiens traded up to draft Chris Higgins. A center his entire career, including his time in the AHL, Higgins had to switch to left wing out of necessity to crack the Montreal line-up. The primary reason for the void at left wing is the Canadiens failure to use high picks on them. Prior to the Canadiens drafting Max Pacioretty in 2007, the last time the Habs used a first round pick on a left winger was 1995, a gap of 12 years. And even then, it was used to select Terry Ryan. The target with that pick was Shane Doan who the Canadiens tried to trade up to get but Winnipeg (Phoenix) refused and drafted Doan for themselves. The rest they say, is history. A Swiss-born player, Bartschi is already playing in the WHL. I like his moxy and ability to generate offense, either by himself with a great set of hands or by setting up others with his vision. Ranked 16th by TSN, 7th by NHL Central Scouting, 11th by International Scouting Services and 8th by The Hockey News. Needless to say, the Habs will need some luck for him to drop into their hands. Good skater with great hands and an excellent slap shot. Needs to work on his defensive game but likes to drive the net and score from close range. Skills sorely lacking in Montreal. Ranked 27th by TSN, 28th by NHL Central Scouting, 29th by International Scouting Services and 21th by The Hockey News. A physical player who's body is NHL-ready but a project nonetheless. Defensively responsible with offensive potential. Has the makings of a 3rd line winger. Ranked 22nd by TSN, 19th by NHL Central Scouting, 24th by International Scouting Services and 14th by The Hockey News. The lack of a young, front line center on the Canadiens roster has been a problem for 13 years and it's led to near-desperate acts to fill it. The endless Vincent Lecavalier runours and finally the Gomez trade. Average speed but plays a physical game. Defensively aware but offensive upside is limited. Miller does have a nose for the net however and has the ability to maintain a presence in the crease. Ranked 18th by TSN, 23rd by NHL Central Scouting, 17th by International Scouting Services and 59th by The Hockey News. Very physical player that drives the net well. Strong hockey sense to go with a good shot. Has the potential to become a prototypical power forward in the NHL and may switch to right wing in the process. Ranked 19th by TSN, 14th by NHL Central Scouting, 21st by International Scouting Services and 16th by The Hockey News. Currently playing center and solid on face offs but Jenner’s future may be on left wing if he’s going to play top 6 minutes. Unless Jenner’s skating improves, he’ll be too slow to play Montreal’s system as a center but has the work ethic to succeed. Defensively aware with decent offensive skills. Ranked 26th by TSN, 18th by NHL Central Scouting, 38th by International Scouting Services and 40th by The Hockey News. There’s strong consensus that the Montreal Canadiens will look long and hard at James Oleksiak if Sven Bartschi is gone at number 17. If both are gone, the Habs may seriously consider trading down for a left winger or possibly make history by using a first round pick on a Swedish-born player. A huge player who can move his feet, skates well and has soft hands. Players that big are high risk, high reward so any offense at all would be a bonus. Ranked 17th by TSN, 13th by NHL Central Scouting, 16th by International Scouting Services and 17th by The Hockey News. Projects to be a solid, two-way defenseman with very good skating and puck handling ability. Currently playing against men in the SEL so Brodin started out slowly, as is the norm. Must get stronger but has the hockey sense to excel in the NHL. Ranked 10th by TSN, 3rd among Europeans by NHL Central Scouting, 20th by International Scouting Services and 22th by The Hockey News. A defenseman with moxy, Klefbom has a strong compete level to go with his ability to see the ice well. Jumps into the play when the opportunity presents itself but needs to work on his first-step acceleration. A born leader. Ranked 21st TSN, 6th among Europeans by NHL Central Scouting, 10th by International Scouting Services and 37th by The Hockey News. It’s all or nothing with Carey Price for the foreseeable future. 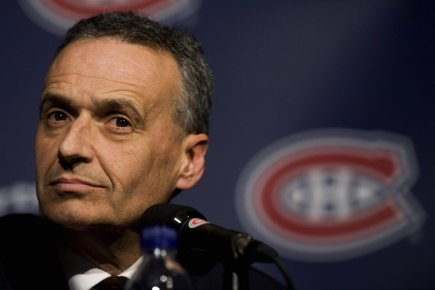 The Montreal Canadiens, typically one of the very best teams at scouting, drafting and developing NHL goaltenders currently finds itself without any legitimate NHL goaltending prospects in their system. Regardless of who was number one in Montreal, the Habs have never shied away from looking for the next one because it usually takes so long to develop a quality netminder. The best example of that was Pierre McGuire’s rant about selecting Carey Price when the Habs had Theodore, Huet & Danis in their system. Now that Price is here to stay and the others are long gone, the pipeline now consists of Robert Mayer, Peter Delmas and Karri Ramo who’s likely in the KHL to stay. Given how well goaltenders are scouted globally these days, the era of waiting until the late rounds to draft one are long gone. Waiting until after round 3 is fool’s errand but with the Canadiens not having a 2nd round pick this year, I don’t foresee them drafting one until the 4th round or beyond. The Habs need to draft a goaltender but with their second draft pick not coming until halfway through the 3rd round at 78, it’s highly likely they won’t draft a goalie again this year. If they do take a goalie in round four or beyond, it’s not worth projecting who that might be. Looking at the Habs situation going into the draft, never have I seen such a ripe opportunity for the Canadiens to trade down up to 5 spots and still get a piece they want. If it gains them a second round pick for Trevor Timmins to do his thing, it just might be the right thing to do.